Was not Hypatia the greatest philosopher of Alexandria, and a true martyr to the old values of learning? 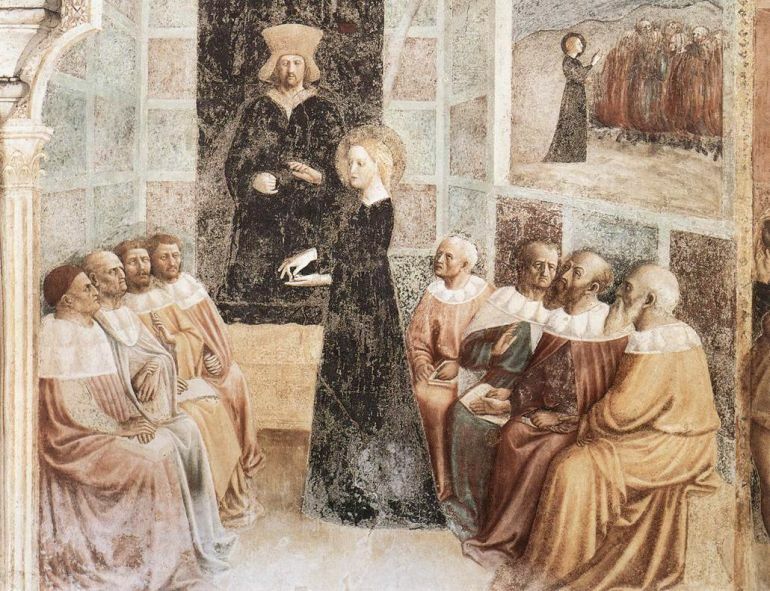 She was torn to pieces by a mob of incensed Christians not because she was a woman, but because her learning was so profound, her skills at dialectic so extensive that she reduced all who queried her to embarrassed silence. They could not argue with her, so they murdered her. Taken from English art historian and journalist Iain Pears’ novel The Dream of Scipio, the lines aptly sum up who Hypatia was. Quite possibly one of the greatest philosophers of her age (4th century AD), her eminence doesn’t really stem from her being a woman in a “man’s world”. Rather it takes a more intrinsic route, transcending gender characterizations to account for what can be regarded as the best of ‘humanity’. In essence, she was an intelligent, smart and most importantly courageous human being who stood up for her ideals even when faced with the greatest of all adversities – death. Such laudable facades of personality certainly makes her stand out in the realm of history, with bravehearted heroism taking the center stage in the life of a female philosopher and mathematician who lived in the antediluvian times of the ancient world. Hypatia (or Ὑπατίᾱ) was a Greek mathematician, astronomer, and philosopher who was born circa 4th century AD (probably between 350-370 AD) in Egypt, a region which was then under the control of the Eastern Roman Empire. Her earlier inclination towards the classical fields of study was fueled by her father, the noted mathematician Theon Alexandricus (335 – 405 AD). According to some sources, Hypatia was in fact educated in Athens in her younger days. But all the more impressive is the fact the Hypatia went on to become the head of the Platonist school at Alexandria in around 400 AD. There are also hypotheses that allude to how the philosopher remained celibate all her life, not due to any religious inclination, but rather because of her belief in Plato’s philosophical ideas on the abolition of the family system. Now to put things into historical perspective, the city of Alexandria (originally founded by Alexander the Great in 331 BC), was the bastion of cultural and intellectual advancements at a time when the Roman Empire was undergoing various political upheavals (after 4th century AD). Scholars from across the globe flocked to the Great Library of Alexandria, an incredibly impressive establishment of the ancient world that was said to house over half-a-million scrolls, in spite of its accidental destruction and rebuilding in the preceding centuries. There was a woman at Alexandria named Hypatia, daughter of the philosopher Theon, who made such attainments in literature and science, as to far surpass all the philosophers of her own time. 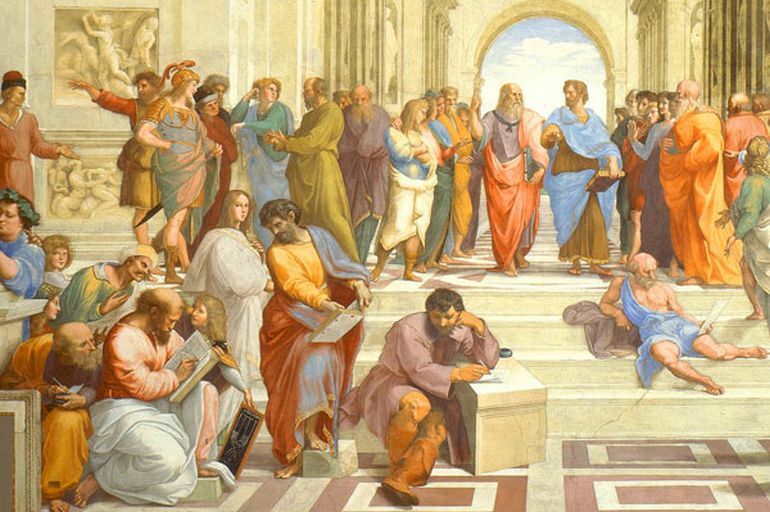 Having succeeded to the school of Plato and Plotinus, she explained the principles of philosophy to her auditors, many of whom came from a distance to receive her instructions. On account of the self-possession and ease of manner, which she had acquired in consequence of the cultivation of her mind, she not infrequently appeared in public in presence of the magistrates. Neither did she feel abashed in going to an assembly of men. For all men on account of her extraordinary dignity and virtue admired her the more. In his Ecclesiastical History, Socrates Scholasticus also offered a detailed overview of the unfortunate circumstances that eventually led to the murder of Hypatia in her beloved city. As we mentioned before, Alexandria by this time had become a hotbed of different religions, including both Christianity and Judaism. And beyond just competing faiths, the religious overtones of the time also had their profound effects on the political system of the metropolis. Such a potentially ‘explosive’ scenario was mirrored by clash between Orestes, the Roman governor of Alexandria, and Cyril, the Bishop of Alexandria, leading to the brutal murder of Hypatia. Orestes through one his edicts concerning Jewish dancing exhibitions paved the way (quite unintentionally) for religious violence that basically incited the Christians against the Jews. In the ensuing riots and its aftermath, many people of Jewish faith were unceremoniously banished from the city. Remorseful over such an action, Orestes stubbornly resisted the peace overtures supposedly made by Cyril, thus (by principle) supporting the Jewish population. Such views of the Roman governor further angered many orthodox sections of the Christians, and one such angry monk named Ammonius apparently struck Orestes in the head with a rock, causing him to be grievously injured. Ammonius was immediately tortured and put to death – which raised ardent calls for his martyrdom from Cyril and his powerful followers. 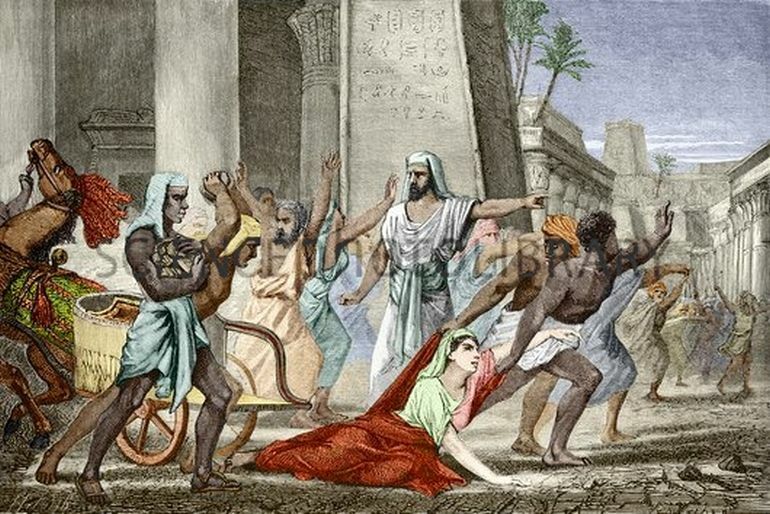 Regrettably, most history sources deal with Hypatia’s sensational death, thus sparking the age-old controversy between religion and science, while at the same time leaving out most of her actual achievements in fields of mathematics and philosophy. This is partly due to lack of available literary works that describe Hypatia’s contributions in their original details. 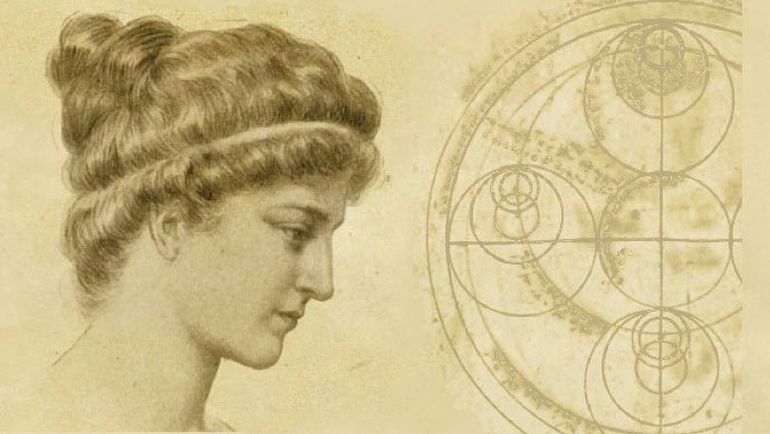 However to fully comprehend the precious contributions of Hypatia, we have to understand that ancient mathematics was primarily divided into four branches: arithmetic, geometry, astronomy and music. And Hypatia excelled in the first three of these avenues – as is evident from her teaching career that mainly dabbled with arithmetic, geometry and (possibly) astronomy. In fact, some ancient (surviving) letters written by Synesius, one of Hypatia’s students, talk about how Hypatia invented astrolabe, a device used in studying astronomy. But other sources place this invention at least a century later. Imagine a time when the world’s greatest living mathematician was a woman, indeed a physically beautiful woman, and a woman who was simultaneously the world’s leading astronomer. She has been the muse of many an artist and poet. In recent times, there has been an increasing interest in this extraordinary woman, with the publication of a number of novels and works of literature that celebrate her outstanding scientific genius. Hypatia’s life has been fictionalized by writers in different languages across the world. In the 2009 movie Agora, for instance, actress Rachel Weisz portrays the Greek scholar in her final years. This article originally appeared on our sister site, Realm of History.